How to: Prius Hybrid Battery Health - Good or Bad? Back in 2012 I purchased a well used Gen II Prius. It was a high mileage 2006 with about 1 year of service history missing. So, you could say it was a bit of a gamble. 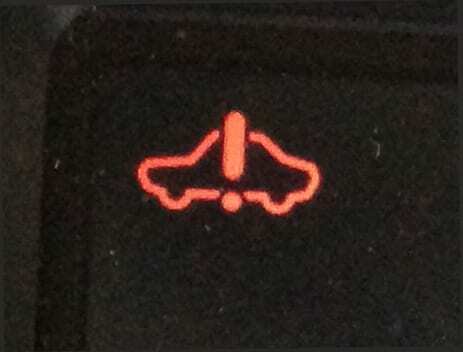 Last weekend I received the dreaded P0A80 error code, while at the same time my entire dash was illuminated with every warning light available to the Prius’ computer. You could say, it was a bad day. You can read more about what exactly occurred in a post I will be adding shortly. I’ll link it here once it is complete. The purpose of this post is to provide, what are now glaring signs that my Prius’ traction battery was having issues. I now have a brand “new” battery which I installed myself, and this is why these signs are appearing to me. Just to clarify before we begin, the traction battery is very different than the 12V AUX battery. The AUX battery is a user replaceable item, that is located in the far rear (passenger) corner of the Prius’ trunk. It is used for initial startup operation as well as operating the vehicles 12V items; radio, lights, etc., much like a regular non-hybrid car. Whereas the traction battery or hybrid battery as some call it, is used to power the electric parts of the Prius electric motor. If you are a MPG watcher like me, this should stand out immediately! Now there are many factors which can adversely affect your MPG. Some of these include tire pressure, weather, “driver” and more so make sure you take those factors into consideration as well. I am usually a 54+MPG/tank driver. I have the same drive most days and I am very consistent with my driving patterns, so this number is very easy for me to control outside the above mentioned items. About two months before my battery took a turn for the worse, my wife was driving the Prius more than usual and during that time I was getting poor MPG (around 48-51mpg over two or three tanks), so I connected that to my wife driving, not because she is a bad MPG driver, but because they were all short trips and it was consistently below 0°F. The cold snap continued the next four weeks, during that time I was getting around 46MPG for the first two and as low as 42MPG the last two. I insisted (in my head) it was because of the cold weather, to the point I would plug my car’s engine block heater for almost 4 hours more than the previous year. This is not an easy sign to see, but if you watch this screen on your MFD and you find large fluctuations in your SOC, this is a definite sign that either your battery or charging system is having issues, but most likely the battery. If you watch your SOC on your multi-function display and find large swings in charge rate, this is an obvious sign. If it gets to purple, which unless you are using EV mode it really shouldn’t, then a few minutes later you find it in the green. This should be something to keep an eye on. This, again is something that is harder to pinpoint. The ICE can at times run erratically, stop at weird times or run longer at others, but in my experience this is usually not consistent. The more often it occurs, could be pointing to a problem with your HV battery. I am still attempting to confirm this is not occurring on my vehicle, but in the past,, I found that almost exactly 30 seconds after I started moving my instant MPG would drop considerably, like from 30MPG to 15MPG, with no change in acceleration. This should be very easy to see, and not really a sign, but reality. When Toyota sold the Prius models, they say the battery should last the life of the vehicle. But, really, how is that defined? If you are at or near 200K mi, look at the rest of the signs above and really think and possibly start planning ahead for your battery’s inevitable demise! That is my short list of items that I have seen directly opposite since replacing the traction battery. Do you have questions or comments on this topic? Feel free to leave them below.